I am writing this article not for your sake, but for the sake of the Filipino people, because the public has the right to know. And yes, I am speaking to you as a member of the public, a public that will surely be angry and disappointed at you by the end of this article. Okay sige tara na’t umpisahan na ‘to. Maglalaba pa ako. Last week on ANC’s Headstart, you interviewed former Foreign Secretary Albert del Rosario about the South China Sea issue. A director of First Pacific, Del Rosario is currently plagued by allegations of harboring conflicts of interest while he was DFA Secretary, conflicts of interest that allegedly wreaked – and is still wreaking – havoc upon the Filipino People [TP: del Rosario]. You were supposed to put him in the hot seat. Instead, with your help, last week’s Headstart turned into a long and winding Liberal Party political commercial. Miss Karen Davila, the video below shows a self-confessed Philex stakeholder who's interviewing a self-confessed Philex stakeholder who's trying to convince the general public that risking a Philex-initiated war is good for the entire nation, where >99% are NOT Philex stakeholders. Miss Davila, tigilan mo nga kami. Huwag kang ANO. Ganito, ha. Hindi ako pala-patol sa mga journalists dahil naniniwala ako sa kasabihang "Walang basagan ng trip." Iyan din ang dahilan kung bakit tahimik ako ng halos isang linggo tungkol sa issue na ito. Kaya lang kasi, Karen, lakas mo maka-uto e.
Harapan mo na pinaglololoko ang taumbayan sa show mo. Pasensiyahan na lang dahil kapakanan ng taumbayan ang ipinaglalaban ko. Karen, keep your ego in check. Have you forgotten 2005? If there someone who should show some humility, it should be you, the same you who almost managed to single-handedly obliterate ABS-CBN News and Current Affairs in the mid-2000s with that flubbed Susan Roces interview. "It will be remembered as perhaps one of the lowest points in local TV journalism history: an anchor of a top network losing command and control of an interview during the live broadcast of a running political story. Chay Hofileña, who is now part of Rappler, wrote that in 2005. Hofileña credited you for reaching “one of the lowest points in local TV journalism history” and here you are, swiftly brushing aside valid criticism as if you’re some journalistic monolith. Umayos ka, Miss “Higher Intelligent (sic)”. At hindi pa ako tapos. Kalingkingan pa lang ng issue 'yan. Notwithstanding, let me give you what you asked for. Let’s do that “higher intelligent (sic)” thing. Did Foreign Sec. 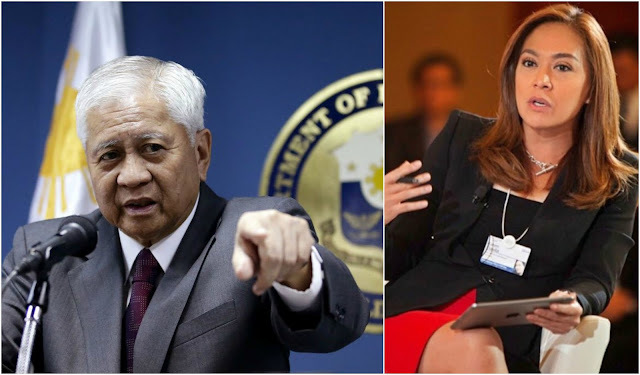 Albert del Rosario harbor conflicts of interest while he was DFA chief? 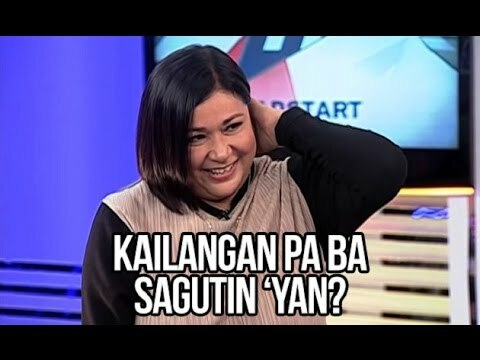 Does Karen Davila (Yes, you) still have credibility when tackling the South China Sea issue? Let’s deal first deal with del Rosario’s conflicts of interest, then I’ll deal with you afterward. Del Rosario’s Headstart guesting was his first major public appearance after the July 12 UNCLOS decision of the Permanent Court of Arbitration [TP: SCS Decision]. That interview was the perfect opportunity for the public to dig deeper into what brought us into this humongous diplomatic mess [TP: Yasay’s Face]. An opportunity that was, thanks to the “higher intelligent (sic)” you, sorely missed. But first, here's a background. Forum Energy’s unilaterally-approved 02 March 2011 Reed Bank (Recto Bank) seismic survey was met with fierce opposition from the Chinese government as Chinese patrol boats fiercely approached Forum’s survey ship while it was looking for hydrocarbons beneath Reed Bank [Storey 2011]. To aggravate the tense diplomatic situation, Forum Energy decided to complete the survey later that month [ABS]. This triggered the PH-China diplomatic crisis that persists to this day. Philex Petroleum controls Forum Energy PLC [BW]. Metro Pacific controls Philex Petroleum [WSJ]. First Pacific is Metro Pacific Investments Corporation’s parent company [EMIS]. In short, First Pacific controls Forum Energy, the same company that triggered the diplomatic crisis that we are suffering right now. Now, let me show the part where del Rosario comes in. Del Rosario was a First Pacific Director from 2004 until March 2011. While still a company director, del Rosario was appointed as DFA Secretary in February 2011. He left First Pacific a month later, only to rejoin the company when President Aquino’s term ended in June 2016. In short, in all the years surrounding his DFA stint, del Rosario had serious influence over First Pacific, and vice-versa. The Indonesian Salim Group controls First Pacific, where Anthoni Salim is Chairman and Filipino businessman Manny V. Pangilinan (MVPs) is Managing Director and CEO [FirstPacific]. MVP’s meteoric rise in the 2010s? He has the Salim Group to thank. MVP money is Salim money, after all. Ok, let’s go back to del Rosario. This is where things start to go really, really wrong. Let’s list down what del Rosario did, in chronological order. Del Rosario was sworn in as DFA chief on 24 February 2011 [ABS]. Forum Energy unsuccessfully conducted the controversial Reed Bank survey on 02 March 2011 [Storey 2011]. Despite China’s opposition, Forum completed the survey on 23 March 2011 [ABS]. All these happened in Del Rosario’s FIRST MONTH as DFA chief. Del Rosario cannot deny his complicity because the seismic surveys were conducted on disputed territory, an activity that obviously requires clearance from the DFA. Aba, kakaupo lang sa DFA, umariba na agad para sa First Pacific? That's strike one. PH-China diplomatic relations hit rock bottom just weeks after the Reed Bank Incident [TP: Trillanes]. China’s trust on formal Philippine diplomatic channels eroded, thanks to del Rosario’s imprimatur on the second Reed Bank seismic survey. Nagreklamo na nga ang China tapos, sa halip na kausapin niya muna, pinayagan pa niya ULIT ang Forum Energy na magkalkal sa Reed Bank. Nananadya e.
Thus, we had to resort to informal diplomatic channels, also known as “backdoor negotiations”. And who did del Rosario appoint to be the DFA’s backdoor negotiator? Voila! It’s First Pacific CEO Manny Pangilinan [GMA]. O di ba, nakipagtag-team pa si Del Rosario sa kakosa sa First Pacific? That's strike two. It’s clear that del Rosario has personal business interests in MVP-FirstPacific companies. Ayan ha, isang taon na siyang DFA chief, may MVP stocks pa rin. Masama pa diyan, walang publicly-available SALN siya pagkatapos ng 2012. Convenient for him, di ba? That's strike three. What’s more alarming, though, is his shares in Philex Petroleum. Philex Petroleum’s stock’s debuted in September 2011, well into del Rosario’s foreign affairs stint [Inq]. Yes, we have a DFA Secretary who acquired during his DFA stint stocks from a company that has a direct interest in the South China Sea dispute. Hindi pa ba ‘to graft? Or worse, plunder? That's strike four. Del Rosario held on to these Philex Petroleum stocks all throughout his DFA stint. As of Philex Petroleum's 08 April 2015 disclosure [PSE], Del Rosario still belongs to its TOP 100 shareholders! Nakikipagnegosasyon si del Rosario sa China habang stockholder siya ng Philex Petroleum na nanggigigil sa Recto Bank? Ayos ah! That's strike five. With del Rosario’s blessings, backdoor negotiator MVP tried to strike a deal with state-owned China National Offshore Oil Corporation (CNOOC) [Star]. Even President Aquino supported it [GMA]! Pera-pera lang, no? That's strike six. At some point before January 2013, the Department of Energy transferred to the DFA its authority to grant Recto Bank exploration and drilling permits [Inq]. Sino nga ba uli ang may kontrata sa Recto Bank? That's strike seven. Then in 2013, DFA then extended Forum Energy’s Recto Bank exploration license by two more years [Inq]. Ayan, may favor to First Pacific na naman. Sarap buhay, o.That's strike eight. Karen, napapagod na akong maglista. 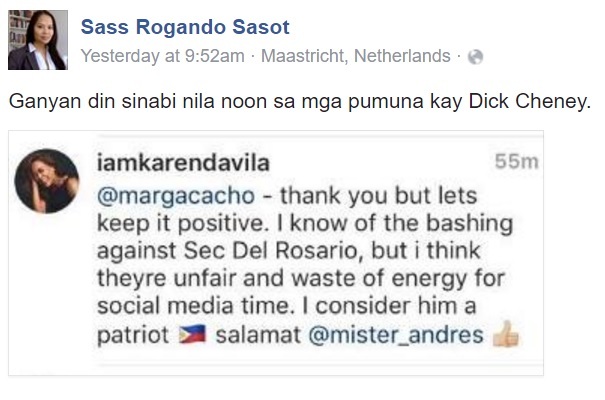 Kulang pa ba 'yan sa yo kaya puro pacute na tanong lang ang ginawa mo kay del Rosario? Si Alma Moreno lang yata kaya mo e.
Now, we have EIGHT concrete examples of how del Rosario's conflict of interest affected his decision-making as DFA secretary. 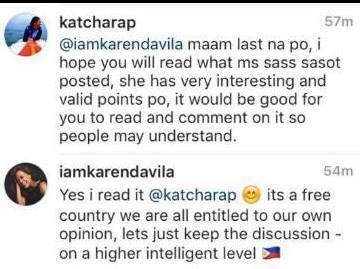 Still isn't obvious enough, Miss “Higher Intelligent (sic)” Karen Davila? That's still a "Patriot" for you? Miss Davila, what your show needs is not “higher intelligent (sic)” discussion. Instead, it needs “higher intelligent (sic)” researchers. Or worse, a “higher intelligent (sic)” host to replace you. But I am not yet done. 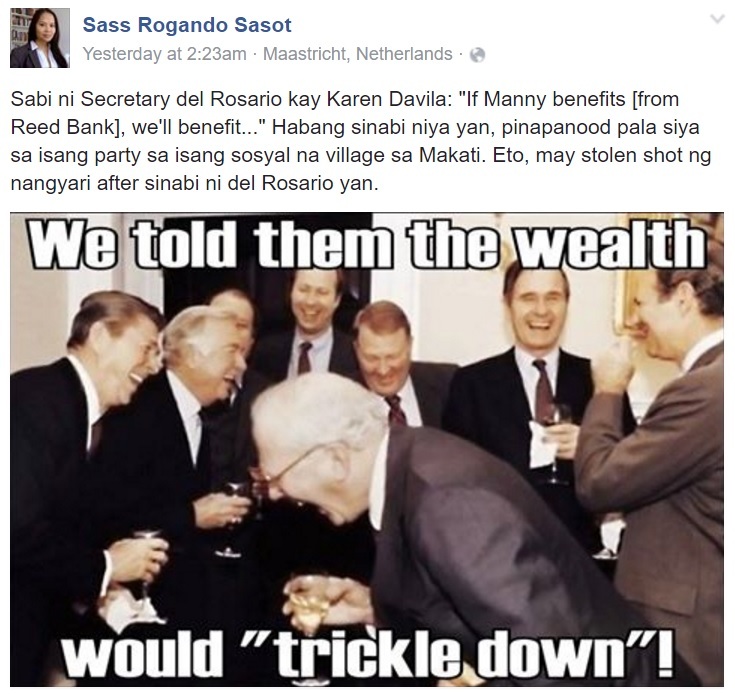 I have discussed del Rosario's conflicts of interest, and it's now time discuss yours. Karen, this is where it gets more interesting. Huwag kang iiyak. Hindi ako si Susan Roces. DAVILA: I think I invested at one point in Philex Oil when Secretary Almendras said that there was oil! Now, let me analyze that statement under a “higher intelligent (sic)” microscope. First, bluffing about such an important issue would be a very stupid thing to do on national TV. That would contradict your being “higher intelligent (sic)”, so you were telling the truth. In short, this means you really invested your money on Philex Petroleum shares. Second, you said you bought Philex Petroleum stocks after Almendras said there’s oil in Reed Bank. “Oil” is a catch-all word for hydrocarbon deposits, i.e. it colloquially refers to both crude oil and natural gas. DOE Sec. Almendras said in June 2011 that his department was studying the possibility of offering the Recto Bank (formerly Reed Bank) area for oil and gas exploration, de facto saying that there’s oil in Recto Bank [TV5]. Assuming that this news was not good enough for you, would you like another one? Almendras then confirmed in mid-November 2011 that a new natural gas find in Reed Bank would indeed dwarf the Malampaya oil fields [Star]. You, being one of this country’s “higher intelligent (sic)” citizens, should have already heard “Sec. Almendras say there was oil” by the mid November 2011. You should have bought Philex Petroleum shares by January 2012 at the latest? Would that be a reasonable conclusion? After all, stock prices soar in response to very favorable company-related information. Being a “higher intelligent (sic)” journalist, you would know that if you’re going to invest in Philex Petroleum, sooner means better. But I will be kind: let’s just suppose that you bought Philex Petroleum shares on March 31 at the latest? Ayan ha, 4 months na yan after Almendras’ announcement. Partida ko na sa ‘yo ‘yan. You actually interviewed Sec. del Rosario in April 2012, a few months after the Philippines initiated UNCLOS arbitration proceedings. In that interview with del Rosario, it was clear that the secretary used China’s South China Sea construction activities in Panatag Shoal and China’s harassment of Filipino fishermen in Scarborough Shoal as grounds for initiating arbitration. After that, the two of you went directly into discussing the legalities and whatnot of the UNCLOS proceedings. NEVER IN THE ENTIRE INTERVIEW did you mention Recto Bank, despite its proximity the Panatag and Scarborough Shoals. NEVER IN THE ENTIRE INTERVIEW did you mention Recto Bank, despite your knowledge that Forum Energy got into a confrontation with the Chinese A FULL YEAR before the interview took place. NEVER IN THE ENTIRE INTERVIEW did you mention anything about Recto Bank, despite your knowledge that it’s a prime candidate for oil exploration. So why did you fail to mention Recto Bank at any point in the entire interview? Was it because you were already owning Philex Petroleum shares? Was it because you were scared of hurting your financial interests? Was it because your financial interest in Philex Petroleum pays better than your job as a TV Host? Miss Davila, what this country needs is not “higher intelligent (sic)” conversations. This country needs journalists with integrity, a quality that you seemingly lack. You have the freedom to do what you're doing, but if this issue blows up, don't be surprised if ABS-CBN loses its franchise soon [Inq].